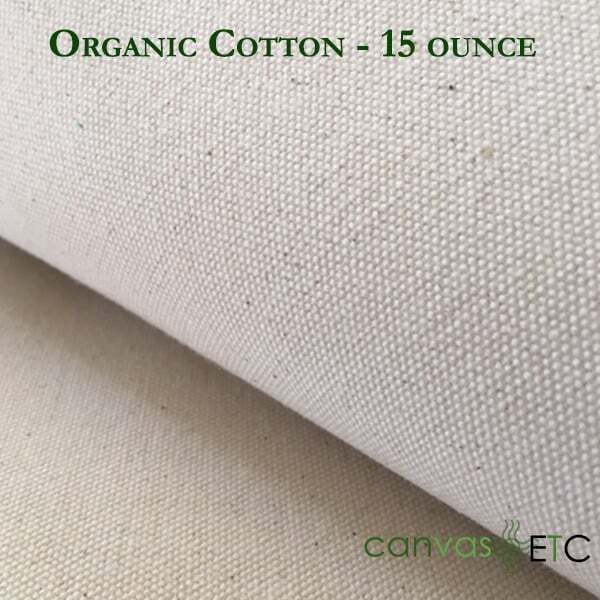 Organic Cotton 15 oz Army Duck | 37" | Wholesale | Canvas ETC. Uses: Glamping tents, outdoor covers, shelters, yurts, hats, clothes, tipis, wall tents, ground cloth, sod cloth, bedrolls, sami tents, bags, pouches, mats, floorcloth, and much more! 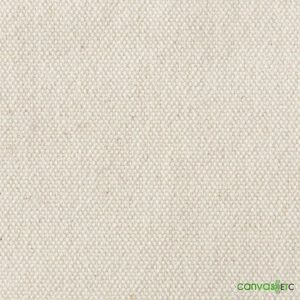 Note: All Canvas Material is sold by the linear yard. Most orders are shipped folded, certain items 10 yards or more will be shipped on a tube. If you need your order to ship on a tube please click the box on the cart page. Primed artist canvas is always shipped on a tube.Primed artist canvas is the only item shipped on a tube regardless of length. Organic textile use has grown in the last 10 years as a result of conscientious consumers. Fabrics like organic cotton have made their mark in so many different ways, affecting the impact on the environment for the better. Organic farming practices have eliminated harmful chemicals and synthetic pesticides, making the benefits of organic processing change the textile standards. As a result of all of the progress to organic textiles, organic cotton has made a mainstream appearance in everyday items. From clothing to home decor, conventionally grown cotton and how cotton is grown has changed. Learn more on how organic cotton benefits your applications and products. Cotton is an ancient crop. The origin of cotton farming dates back to the earliest of times. Therefore, production of this crop has transformed as technology and new agricultural advancements shaped the speed and processing of cotton growth. As with most interesting societal advancements, it’s found that the Egyptians first spun and weaved cotton. From clothing to burial coverings, cotton fibers and fabric had a use for just about everything. All over the world, cotton was a staple fabric for many. Indian, African, and South American countries were all using cotton for different things. As organic cotton growth does best in warmer climates that maintain soil fertility, cotton was abundant across these countries. After the colonization of the United States, cotton production boomed across the southern states and allowed for the development of cotton mills in the 1900’s. With the invention of cotton mills came automated processes for cotton’s overall processing. Slowly but surely, technological advancements meant that cotton fibers could become processed at faster rates, making cotton more accessible to all. Products could hit the markets faster, which meant cotton would hold its status as a staple fabric. The production of organic cotton like with organic foods goes beyond not including toxic chemicals and pesticides while processing the crop. Farms that decide to go organic must go through a two year conversion process in order to swap out conventional processing with organic processing. From there, they must carefully monitor everything from the climate to the soil in order for their cotton to become classified as organic. Cotton that’s organic will go through a similar process to become thread or yarn once picked. From that point, it’s turned into many different products and used for a variety of applications. As mentioned, cotton fields look different when growing organically versus conventionally. Conventional cotton processing leans towards the use of certain chemicals to eradicate pests and vermin that attack cotton, while organic fields don’t. Cotton that’s farmed organically has to uphold many standards of process so that it’s considered organic, while conventional growing doesn’t. This doesn’t mean that one is necessarily worse for you than the other. Conventional cotton growth keeps up with the supply chain demand since it’s grown and processed rapidly than it’s organic counterpart. Either way, this natural crop produces many advantages of use over its synthetic equivalents. 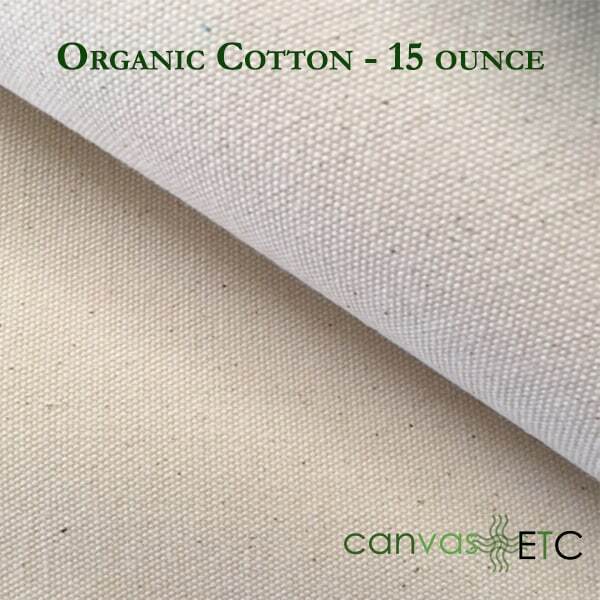 Our organic army duck canvas is perfect for many uses, including professional use. From natural banners to industrial coverings, the army duck canvas has an advantage over other fabrics. If you’re in the business of keeping it organic, look no further than our 15 oz. army duck canvas. 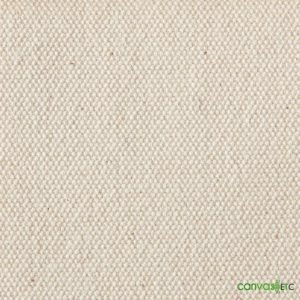 This canvas style is durable and long lasting for so many different applications. If your business operates outdoors, using this style of canvas for tents or yurts is ideal. 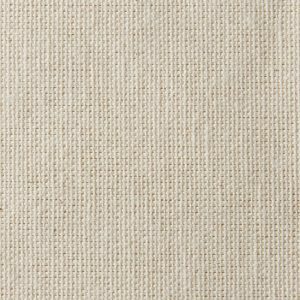 If you’re looking to add a rustic feel to your business’ decor, making a tapestry from this canvas will leave your clientele in awe. There’s no limit to how this army duck canvas will serve your every need. From carry-all totes to drop cloths, this canvas can serve every purpose. 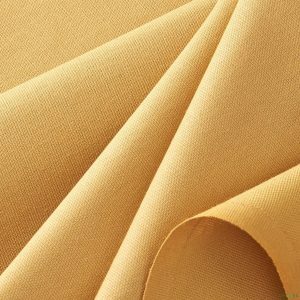 The heavy-duty nature of this organic fabric gives you the edge you’ll need for all your products and applications. 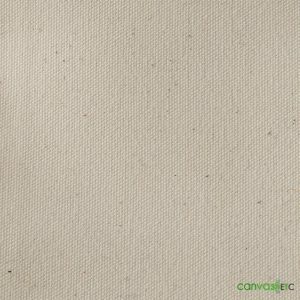 Textile products like our organic army duck canvas work great for all sorts of do-it-yourself applications. 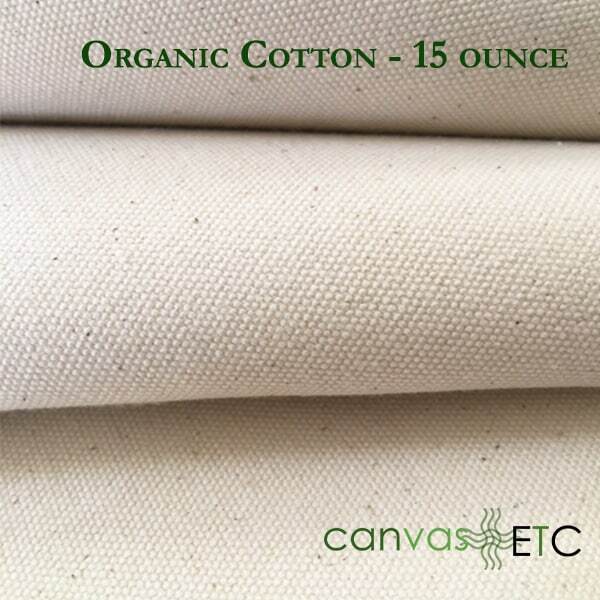 Crafting is fun when you use our organic canvas for so many different projects. Add a natural flair to your home with canvas bins. 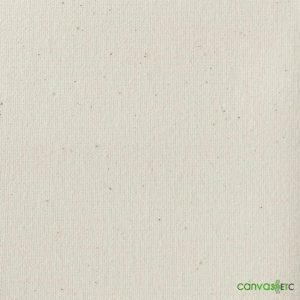 This canvas offering holds up against normal wear and tear and will outlast most bins bought in a store. Easily sewable, this canvas makes for a fun night of crafting with friends or family. Paint a lovely scene on top of this canvas that you can hang. Making welcome signs or mats from this canvas is doable. 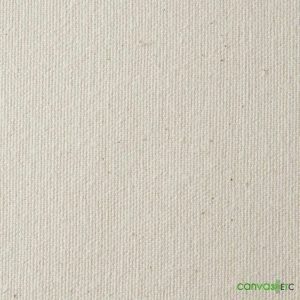 There’s not much you won’t be able to do with our army duck organic canvas. 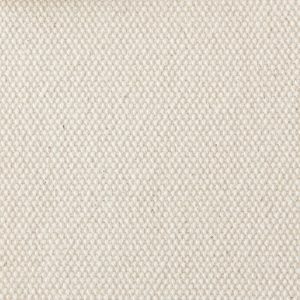 Bags: From tote bags to duffel bags for travel, this cotton canvas offering is easily manipulated into a reliable bag for your everyday use! Since it’s tightly woven yarns make this fabric strong, it also helps keep it water repellent. 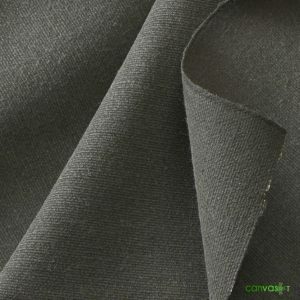 Floorcloth: Keeping your floors clean is easy when you use this super tough canvas as a floor covering or floorcloth. Paint on top and add designs to give it a dressed up look. Shelters: Canvas became known to most as the fabric used for tents. That’s because this army duck canvas keeps you protected under all sorts of harsh weather conditions. Stay dry and enjoy the great outdoors when your shelter relies on this canvas offering. 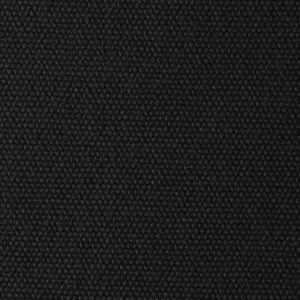 Coverings: No matter the task, this canvas has you covered. 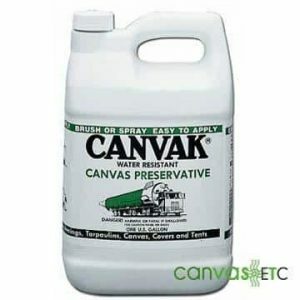 If you want to protect your precious equipment, start with this canvas product. This heavier canvas cloth works well at keeping your most valuable items safe. 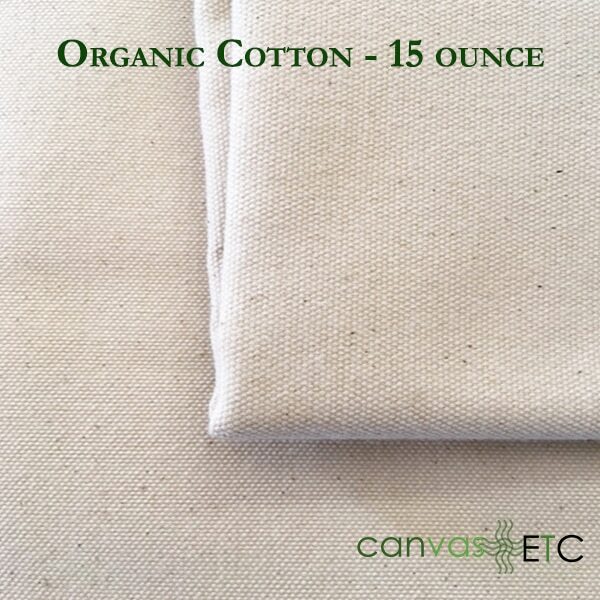 Conventional textile exchange for an organic counterpart like cotton optimizes your use for so much more. 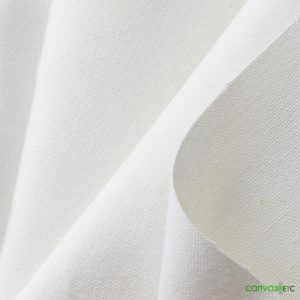 Natural fabrics like cotton make the difference between better and best in your fabric search. 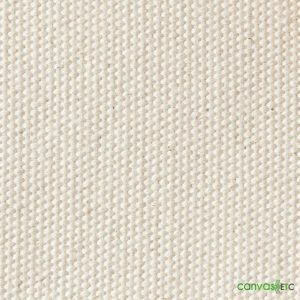 Canvas ETC aims to provide the best quality cotton duck canvas for your personal or professional use. Whatever the application, we’ve selected superior canvas styles for your needs. 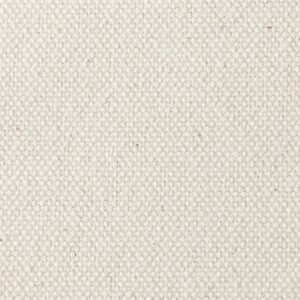 If you’re looking for other styles of cotton duck canvas, we’ve got you covered. 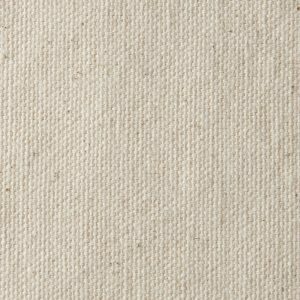 Contact us today to learn more about our selection of cotton duck canvas styles and how we’ll be your premier supplier of all things canvas. 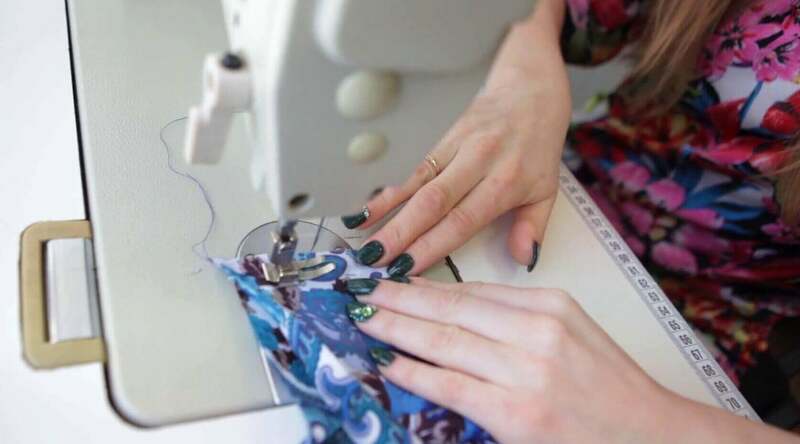 Discover our other duck fabric products here.